23 year old Buea based upcoming gospel solo artist Precious registered under Track Zone Recordz had some time off her studio works for a one on one chat with Nexdim Empire on her upcoming album entitled ‘Thanks a Million’ which will be released come March 2012. 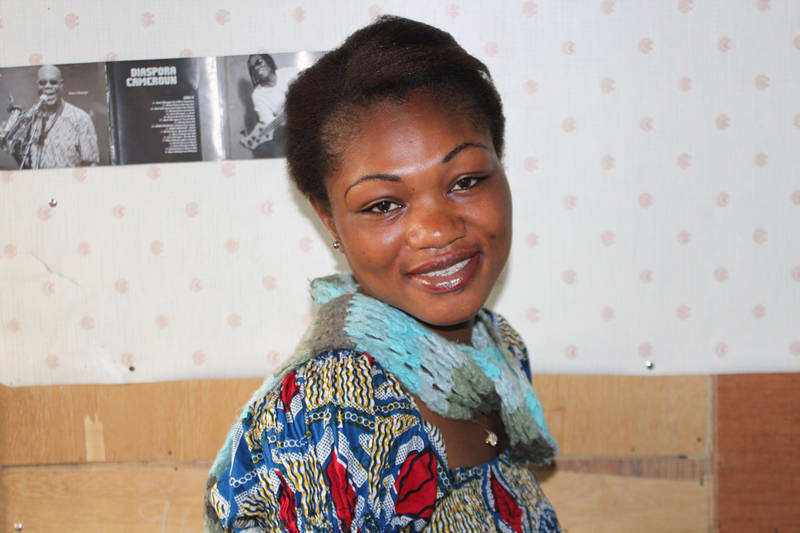 P: I am a final year student of the University of Buea studying Educational Psychology, I come from a family of 3 all girls and am a proud Bayang from Tinto – Eyang. NexDim: What got you into gospel music? P: Lets say my background, i grew up in isolation, i was always alone and that way i would rather sing than talk. As i was growing up i joined the Apostolic church in form 2 and later joined the choir where i enjoyed singing alot. Then my desire to know God the more really pushed me into singing and most of my songs now i did them way back then. P: The title of the album would be ‘Thanks a Million’ it has 7 songs of appreciation to God to have extended the privilege on. First of all there is ‘Breathe on me’ which says the breathe of god takes away all human sufferings, then there is ‘You are just a prayer away’ ‘No limit‘ which is an American praise, and the rest of the three are in the bayang dialect – ‘Two ye ka’ ( come and lets worship God), ‘Ndu va ka’ ( As your praise goes up the glory comes down), and ‘Ye ma apu mboh yi’ ( No man no dey like God). NexDim: What are some of the challenges you faced during this period? P: Well to be honest with you it hasn’t really been easy but I thank God for DJ Subzee of Track Zone Recordz who doubles as my manager he has been a source of inspiration to me all this while, but the biggest challenge has been with finances, I thank God we have gone so far already almost done with the studio works all thats left is the jackets for the CDs and some others. NexDim: Who do you admire most in the world of music? P: I have 2 people i really admire, the first is Sinach who is the leader of Pastor Chris’s choir and Nigeria’s Lara George thats in Africa, then for the western musicians i do admire Cece Winans and Darlene Chzecks of Hill Song Musics. Some tracks in the upcoming album – Listen!